A Northern activist is out of jail after being arrested in New Salem, North Dakota, last week at the protest against the Dakota Access Pipeline. 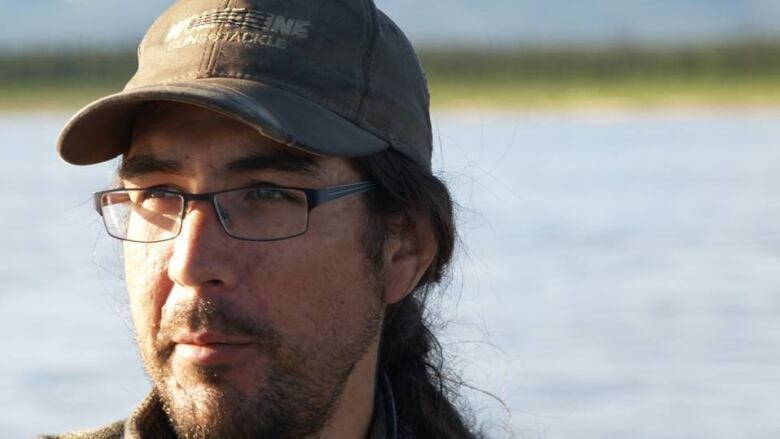 Daniel T'seleie — who has roots in Fort Good Hope and Yellowknife — and several others were arrested Sept. 14 . He and two others are facing a felony charge of reckless endangerment for attaching themselves to construction equipment with a steel device. An affidavit filed with the state of North Dakota says T'seleie, 34, forced work to stop by attaching himself to an excavator at a Dakota Access worksite. "He used a sleeping dragon device to secure himself," a peace officer with Morton County writes, referring to the protest technique in which handcuffs are hidden inside PVC piping, making it very difficult for officials to remove them. "He refused several orders to release himself, which he was able to do at any time he wished, forcing law enforcement to cut the device off using power tools," the peace officer writes. He notes that the procedure, taking place six feet above ground, put responders at risk in "inherently unsafe conditions." T'seleie was also charged with criminal trespass, disorderly conduct and obstruction of a government function. He made a court appearance over the weekend, according to Dave Psyck of the Morton County Correctional Center, and was let out with a $1,500 bond and a promise to appear in court when the charges come up next. New Salem lies about 110 kilometres northwest of Cannon Ball, N.D., where thousands of people have gathered in solidarity with the Standing Rock Reservation to protest the $3.8 billion pipeline that's supposed to transport oil from the Bakken oilfield near the Canadian border to Illinois.